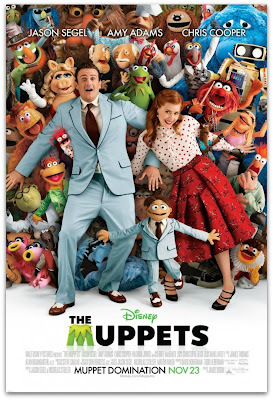 Anyone else as excited as I am for The Muppet Movie coming out November 23rd? I LOVE the muppets! 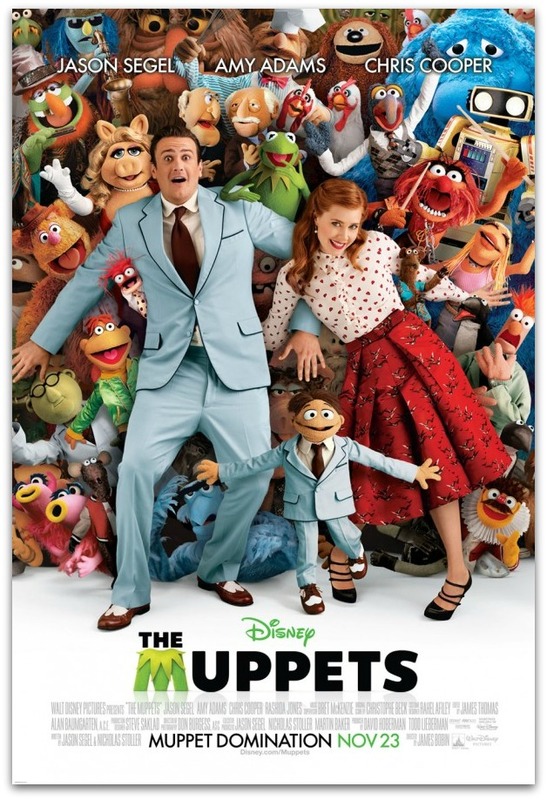 Plus, who doesn't love Amy Adams and Jason Segel?? And oh my! The cameos! Click on the link above to see the full cast list. 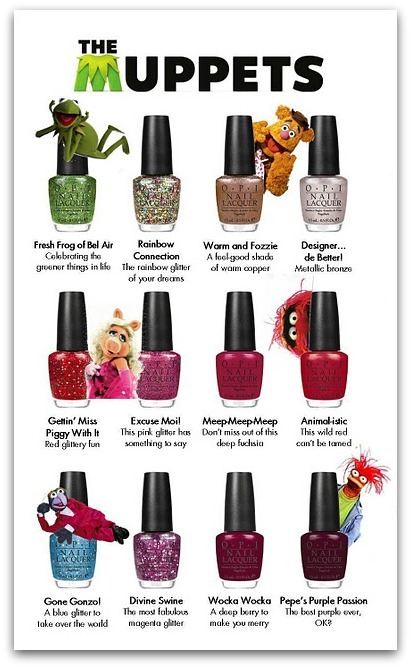 More importantly, OPI came out with a limited edition The Muppets line. Seriously, how totally awesome is that?? I've been holding out, but I think a trip to Ulta may be in order! I'm lemming: Warm and Fozzy, Fresh Frog of Bel Air, Rainbow Connection, Gettin' Miss Piggy With It, Excuse Moi!, Gone Gonzo, and Divine Swine. Seriously, the names! What a cute collaboration! Really loving some of these colors. I'm a sucker for glitter and the Rainbow Connection is gorgeous! I saw the Muppets nail colors at Ulta the other day, "Meep Meep Meep" and "Divine Swine" are beautiful! I am really excited to see the movie too. Should be great. The colors are fabulous! I love Rainbow Connection and Gettin' Miss Piggy With It. I love the Muppets nail polishes!! I want one for sure!! Thanks for posting this, Aims! I LOVE the Muppets! Wocka wocka! I have the Warm & Fozzie on my nails right now. I love it!! I also bought Gettin' Miss Piggy With It, but I haven't tried that one yet. I've heard you either have to apply three coats or layer red nail polish under it. Thanks guys, I'm so excited to get these!! I want like.. ALL of the colors in that collection. I love OPI and this collection is so gorgeous. My mom picked me up the entire Muppets collection and I can't wait to try it! I think they are perfect for the whole "accent nail" trend. I want them all too! Maybe I need to hassle OPi on twitter! !